The long awaited sequel from Frederator Books. Including the first published (!) 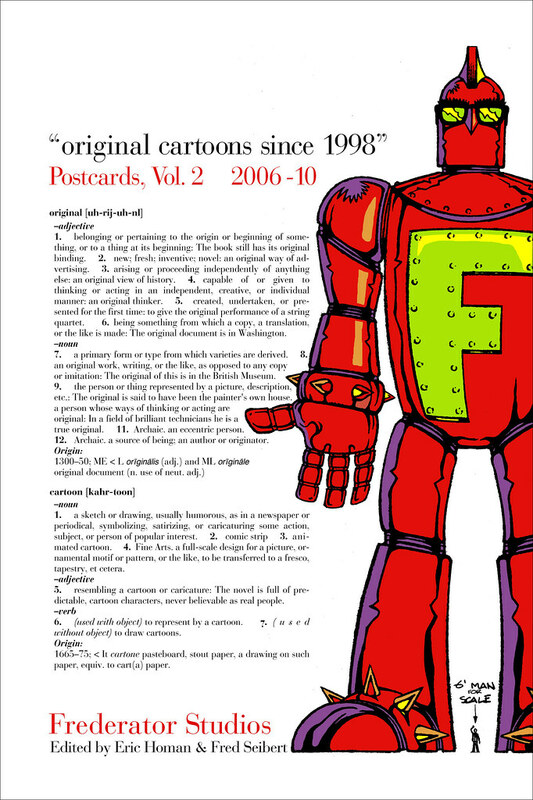 interview with Eric Homan, a short essay by Bob Osher, the postcards in Series 6, 7, & 8, previews of Series 9 & 10, and more! We’re aiming for March, 2010. Click a card to see the whole set. As I was getting together the post about The Hanna-Barbera Treasury, I realized I’d added some rarities from my collection to my personal website and never mentioned them here or at RAW. My close colleagues from over the years can attest to my obsessions of collecting printed artifacts with pop culture illustrations or photographs, like posters, calendars or skateboards. So in the early 1980s, when Yazoo Records commissioned R. Crumb to come up with his “Heroes of Blues, Jazz, & Country” for collector card boxes I thought it would be cool to apply the concept to cartoons. 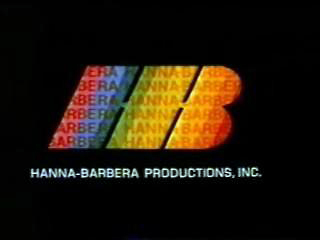 From Hanna-Barbera’s founding in 1956 until 1992 (the studio was effectively closed by it’s latest owner Warner Bros. in 1997) the studio had no sense of its place in popular culture. When Ted Turner bought the company in 1991 he and Scott Sassa installed me as the president and we started to blow the roof off the sucker. There were many of us working at the company who grew up with it’s radical and wonderful innovations and wanted to finally gather up the respect we thought the place was due. I figured collector cards would be a quick way to gather up a lot of the wonderful characters in our library (while we were busily trying to come up with new ones) in a way that would show them off in the hippest, most contemporary way possible (short of Frank Kozik’s posters). They were never sold at retail; they were for our various business associates and staff. Actually, I had no idea how bloated the bureaucracy at the studio ahd become and that it would take over two years to get both these sets out. It was particularly satisfying to me that we were able to go into the never publicaly seen before archives and pull presentation art, storyboard frames, and work sketches and include some in the adventure set. In retrospect, my biggest disappointment with these boxes is that they happened before I gained full appreciation of the way the HB art had changed over the years. Starting in the mid 1960s the original, funky, post UPA, designs of the classic characters (like Huck, Yogi, The Flintstones, and the like) started to cute-ify and became rounder, less raw, and overall less distinctive. When I asked about it at first I was told there was a need to standardize the models because the original animation was all over the place. There are some who claimed the changes began with the ascent of Iwao Takamoto to design director, but, not being there at the time I don’t know; however, it’s clear to all that everything that was done happened with explicit consent from Joe (in particular) and Bill. Eventually, it became clear to me that the prevailing winds just disliked the original art and there was a 30 year effort to actually deny its existence. I wasn’t able to do all that much about it until near the end of my tenure when we hired Craig Kellman to vintage up The Flintstones; but that’ll be another day of scanning and posting. By the way, I can’t for the life of me remember why I was convinced The Flintstones should be included in the “Adventure” cards. Maybe it something to do with the movie… Ah well, such are the paradoxes that make collectors happy. Special thanks to all those people who made The Hanna-Barbera Trading Cards possible! Special thanks to Fred Seibert, William Hanna, Joseph Barbera, and to all those people who made The Hanna-Barbera Adventure Cards possible! They’re in the same album on RAW, but here’s one as a teaser. 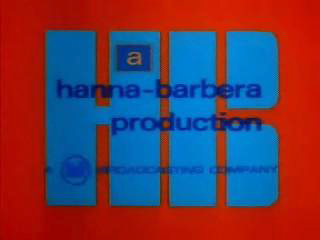 The Hanna-Barbera logo & business cards, circa 1992. 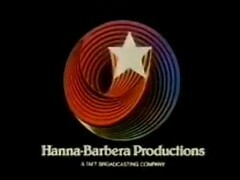 When I first got to Hanna-Barbera in 1992 the studio was nine years past it’s last big success (The Smurfs) and Ted Turner was on the verge of closing the place (producer David Kirschner [Pagemaster, Cats Don’t Dance] convinced Ted to keep the doors open, primarily to save production of his ultimately doomed features). I had absolutely no idea how to turn the studio around –I wasn’t even a novice when it came to making cartoons– but I certainly knew how to resurrect the image of the place. We’d start the turnaround there. 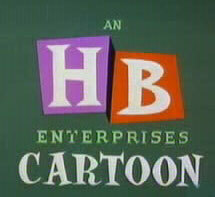 I wasn’t too crazy about the now-classic 70s HB logo (I know a lot of you disagree) because I felt the studio had turned its back on the powerful heritage they had making cartoons (I was insulted by the way that the prior regime had continued producing junk-for-revenue like Yo! Yogi and numerous pale Flintstones specials). 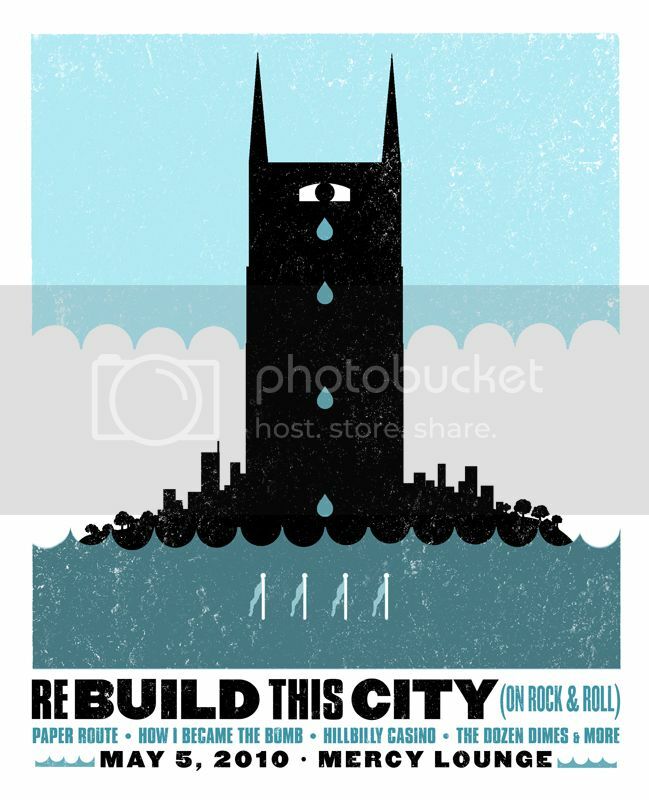 I much preferred the graphic vibe of the 50s and I was determined to reclaim it. I turned to my pals Tom Corey and Scott Nash who had developed the Nickelodeon logo and gave them my rap. I also handed them Iraj Paran’s re-drawing of the vintage HB script. Tom and Scott agreed with my basic philosophy that contemporary trademarks should be kinetic in conception and presented dozens of logos that incorporated the classic characters (and not only the usual suspects, but Muttley, Barney, Secret Squirrel, Jonny Quest, and others) and Iraj’s script, and they added in the elemental shapes of ovals, circles, squares, and rectangles. I’m not sure we caught the exact spirit I was looking for (that would have to wait until Craig Kellman’s reclaiming of The Flinstones art authenticity) but I felt like we were ready to rock. When it came to business cards (I’ve posted autographed versions from our founders Joe Barbera & Bill Hanna), I was still smarting from 12 years of purchasing bureaucrats at MTV Networks who’d constantly thwarted my efforts to make dozens of simultaneous business cards from dozens of variations of MTV and Nickelodeon logos. 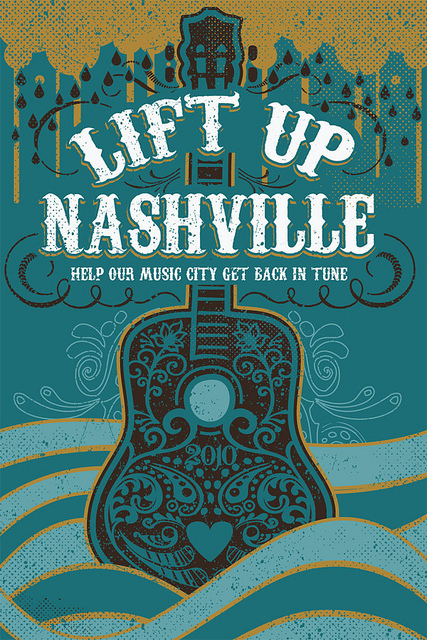 I thought it would be fun and make the brands sing, the company thought it would be wasteful. So, now I was in charge of a company, and multiple, collectible business cards were the order of the day; in fact, my ‘President’ cards were actually printed with the legend “Collect all 8″. The only person who was skeptical was by partner Jed Simmons because he loved making notes on the backs of his cards, and printing the character pictures frustrated his efforts. He got over it. They were a big hit; when we were at business functions we all quickly ran out of cards. Soon, lots of companies in the entertainment business followed suit with fun collections of business cards (even MTV and Nickelodeon). If only we could figure out how to make hit cartoons.